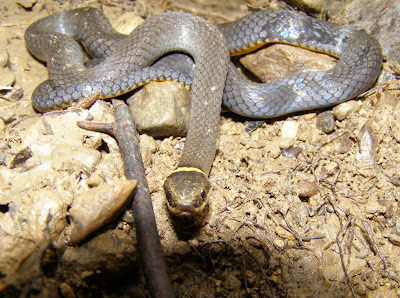 What’s more fun than finding a snake? I’ll bet the first answer that popped into your head was finding two snakes. You’re probably right. I had the good fortune to find this beautiful Northern Ring-Necked Snake yesterday evening. This is the first of its kind found at Blue Jay Barrens, so the find was doubly exciting. 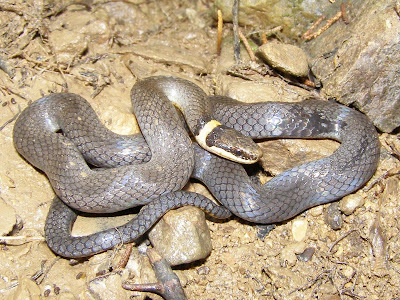 This specimen measured in at about eleven inches, a typical adult size for this species. One look at the neck and it’s easy to see how the snake got its name. 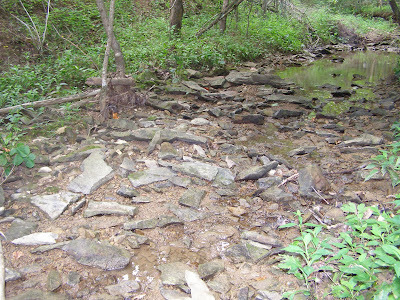 When I found it, the snake was poking its head under and between the rocks of the creek bed. I imagine it was hunting. 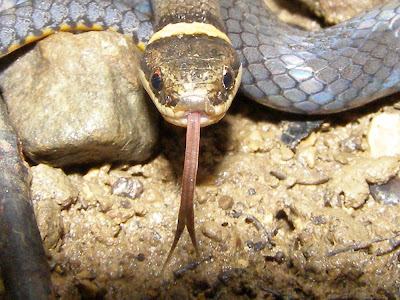 Normal prey items are worms, slugs and small reptiles and amphibians. That chunky tail looks to me like it could be mistaken for a food item. Here’s where I found it. There are probably a lot of things to eat under those rocks. 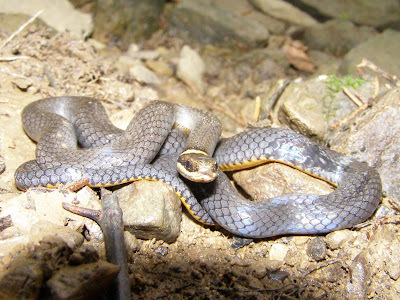 This snake spends a lot of time sheltered under rocks or logs and may have spent the day beneath one of those flat slabs. It was nearing sundown when I happened by and the snake had probably just come out of hiding. The snake pulled itself into a semi-coil at my approach, but didn’t seem disturbed by my presence. I didn’t try to pick it up. 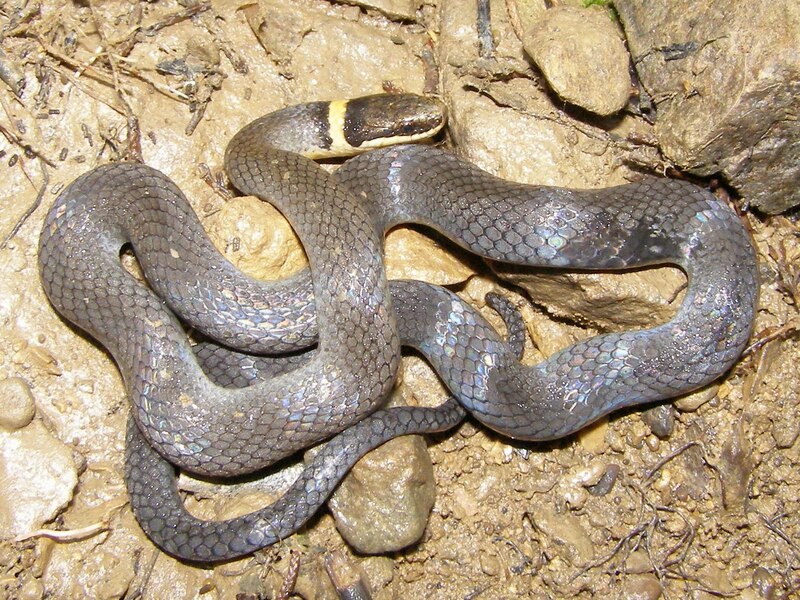 Like many species of snakes, this one defends itself by putting a foul smelling substance on the attacker. The air was cool and clean and I didn’t want to smell snake stink for the rest of my walk, so I just looked at him and he just looked at me. When he did decide to depart, it was done rapidly and straight in my direction. I wanted to get a shot of him stretched out, but I was on hands and knees and he was hurrying off between my legs. I didn’t want to risk hurting him by scrambling to turn around. A glance over my shoulder let me see him disappear beneath a big flat rock. Well, I only got half way through the field yesterday. In the center of the field is a 70 foot diameter patch of Dwarf Sumac. Left to grow, the sumac would form a shrub 20 to 25 feet high. This would not fit well into the open grassland habitat I’m managing for, so the sumac gets mowed even more often than the rest of the field. 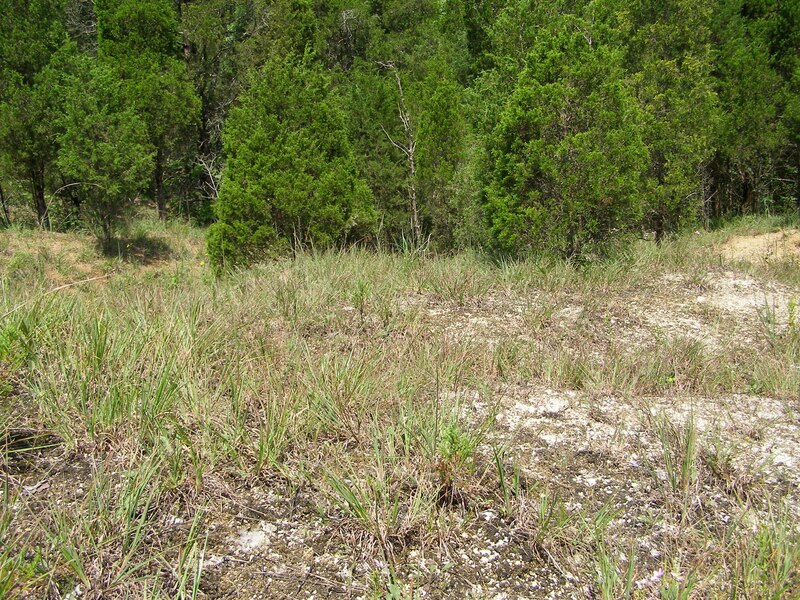 Shrubs fit this type of habitat if they are kept short. Last winter the sumac was cut back to four inch stubble. The sprouts are already over three feet tall and growing rapidly. Dwarf Sumac is the host plant of the Red-Banded Hairstreak, a butterfly species I have yet to see here. 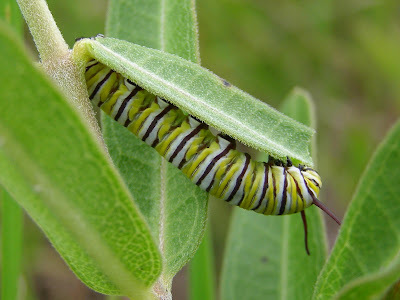 Instead of feeding on the green leaves, the larvae are reported to feed on decomposing leaves on the ground at the base of the plant. Even though it is beginning to look a bit worn, this nest box has produced a lot of birds this year. I’ve attempted to clean it out several times, but each time I check, another nesting is underway. The sequence has been Bluebird – Bluebird – Tree Swallow and now there are five bluebird eggs being incubated. The nests have been stacked so high there was no room for me to get my camera in for a shot. It’s odd that this box had no nests at all last year. The ant hills have recovered from the freeze damage that occurred over the winter. This mound never had a chance to develop freeze damage because it was so thoroughly hidden by the Indian Grass last year that I hit it with JR in December. I’ve been watching to see what effect losing the top of the mound had on the health of the colony. Apparently no permanent harm was done in this case. Many of the late summer bloomers are almost ready to put on a show. This boneset is enormous. You could normally cup the boneset flower head in your two hands. This plant has reached a height of five feet and has produced side branches the entire length of the central stalk. I don’t know if this is a result of being freed from competing with last year’s grass stalks or the weather we’ve had this year or some other factor. Whatever the cause, it’s a great looking plant. Six weeks ago, this was a mass of Oxeye Daisies. Now all signs of that exotic invader have disappeared and native coneflowers have taken the dominant position. The trick will be phasing out the invaders while increasing the natives. You can’t go more than 100 feet across the field without walking into a different vegetative mix. Each mix produces its own shade of color. Each vegetative block will eventually produce its own mix of animals, primarily insects, that are dependent on the plants found in that particular mix. Each year, the blocks become more distinct. The diversity found across the field, continues into each individual block. 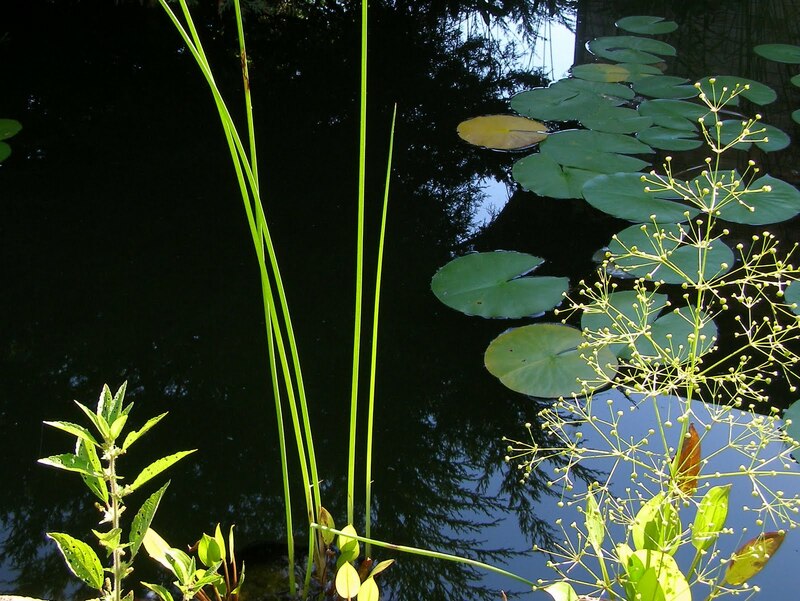 Species diversity in each block is increasing as new plants with similar needs, join the mix. It’s hard to identify all of the factors that influence development of the various blocks. 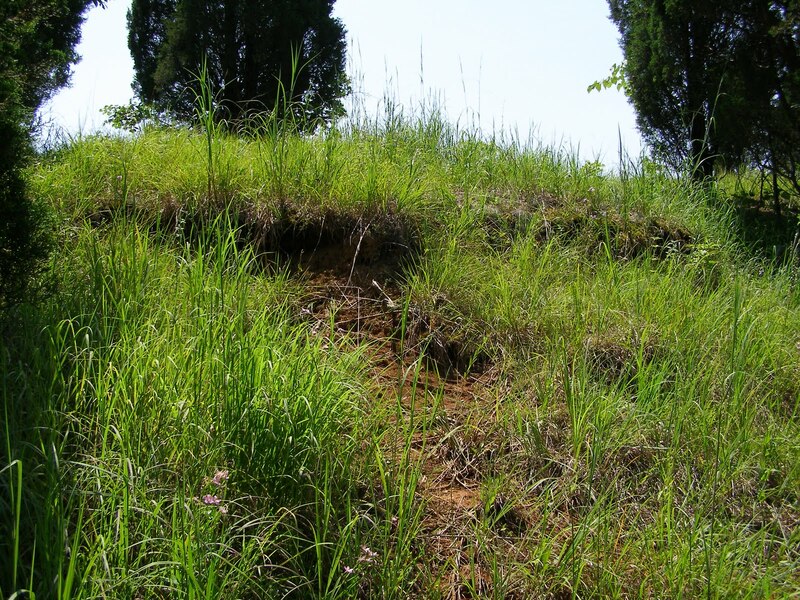 Position on the landscape such as hilltop, side slope or swale definitely plays a role. Soil type, depth to bedrock, type of bedrock, effects of past farming practices and aspect also provide a strong influence. The result is an almost infinite range of possibilities. Each different combination produces a different mix of plants and an endless supply of interesting things to discover on my walks. This is a look back the way I came. I’m quite satisfied with the way the field is responding to being mowed during the winter. 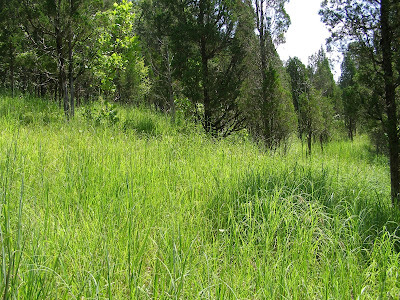 Encroaching shrubs were severely reduced and those that were left are really being stressed as they become overtopped by the rapidly growing grass. Now I can stand back and watch the tall grass grow. I finally got around to taking a walk through the fields that I mowed last winter. I wasn’t looking for anything specific. I just wanted to see the general landscape and get a feel for how the progression from crop field to native grassland was proceeding. I began at the north end of the largest field and worked my way south. 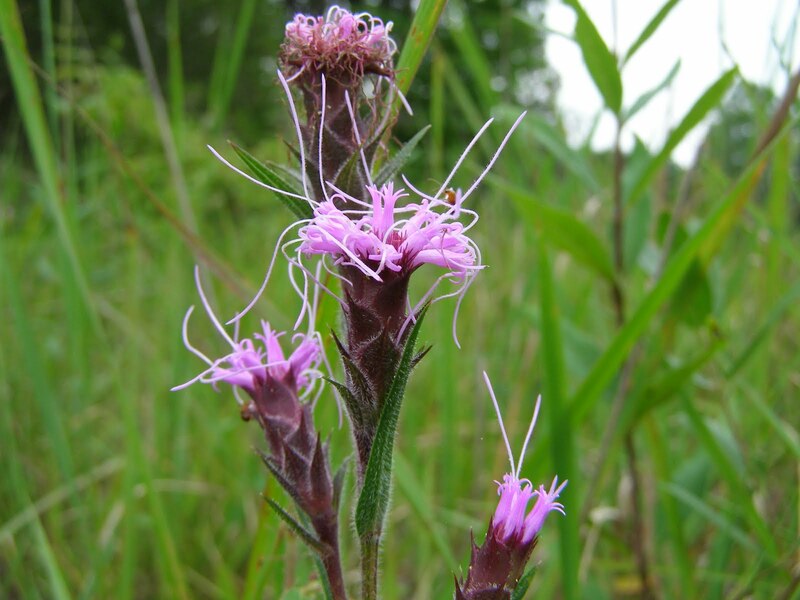 Native plants are beginning to dominate in this area. This area was a mess of Yellow Sweet Clover just a few years ago. Sweet clover is a biennial and I theorized that opportunistic biennials would eventually diminish as the stand of natives became thicker. That seems to have happened here. Tall fescue is still a problem, but it is now being suppressed by the growth of the warm season grasses. Bundleflower continues to colonize new areas of the field. I originally found the Bundleflower growing in a strip along the west side of the field. Although it was one of the first to begin moving eastward into the old cropland, its heavy seed doesn’t move far from the plant and progress has been slow. Light seeded plants, like the grasses, passed the Bundleflower by years ago and have managed to spread themselves completely across the field. The small white blooms of the Bundleflower go almost unnoticed among the fern-like compound leaves. 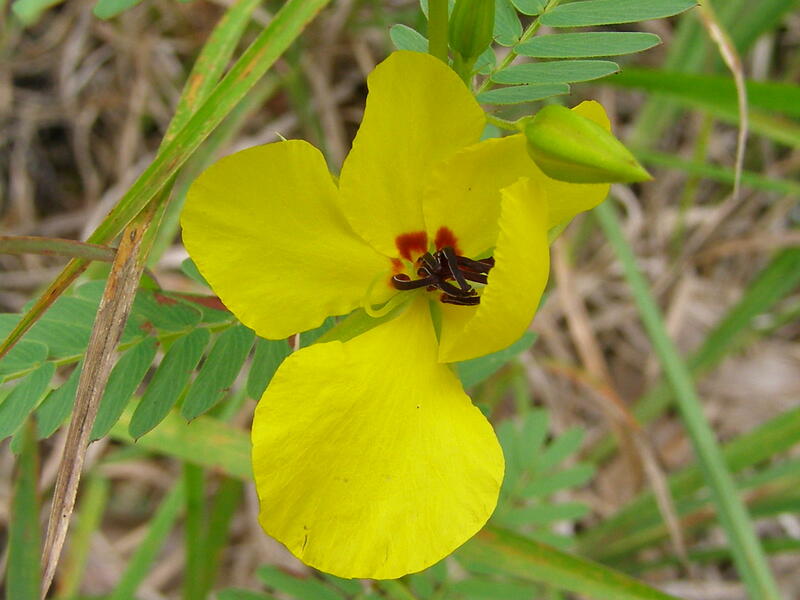 The flower is easily pollinated and lasts for only a short time. Most of the flowers have long since begun the development of seed pod clusters. The mowing last winter has removed all of the standing dead stalks that would normally give the field a fuzzy appearance. The grasses are giving the landscape a nice green color. This is the best vantage point for watching hunting hawks and grassland birds. The field is thick with insects. I’m sure I’ve seen the face on this female Eastern Amberwing being used on several cartoon characters. Note: This is a corrected identification. Thanks to Mangoverde for giving me the proper identification. It proves that if you know what you're looking at, but you wonder why it looks a little odd, you probably don't know what you're looking at. Plants had no trouble coming up through the material left after last winter’s mowing. That mass of organic material is now in the process of decomposition. 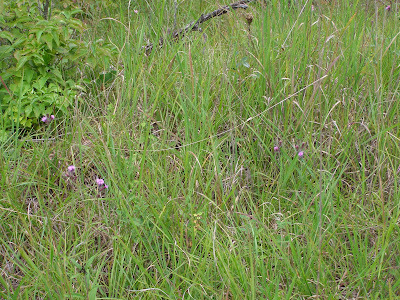 Typical prairie grasses do most of their growing during mid to late summer. 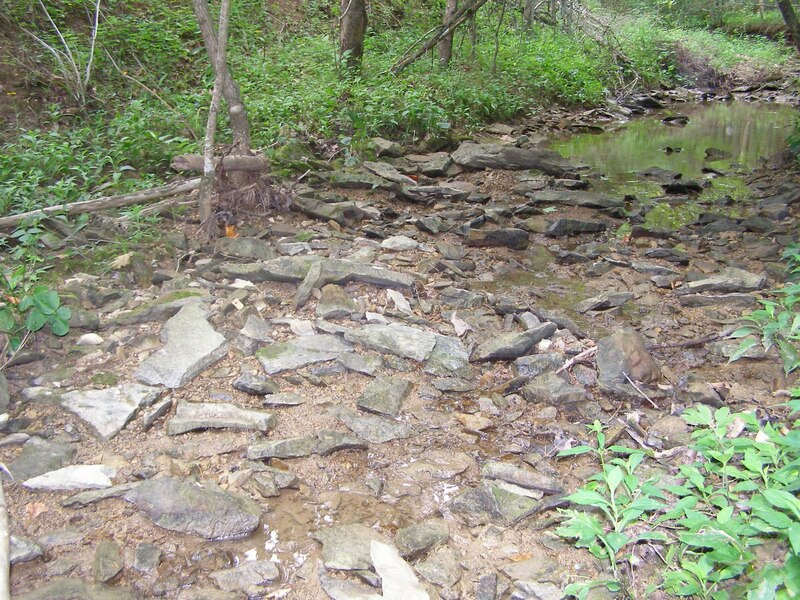 This is the same period in which organic materials decompose most rapidly on the soils surface. In nutrient poor soils, the grasses rely heavily on the nutrients released by dead plants decomposing on the soil surface. The grass leaves growing today essentially become next year’s fertilizer. The tall wildflowers are hurrying up ahead of the grass. 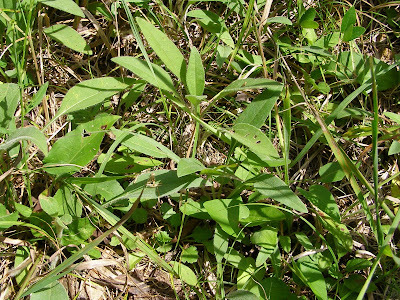 These Whorled Rosinweeds sometimes reach a height of eight feet. The tall grasses will have these plants hidden two months from now. The late blooming goldenrods are just beginning to send up their flower stalks. 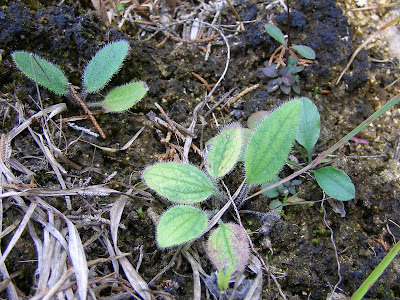 The additional sunlight reaching these plants caused a mass of basal leaves to develop. I think this may have caused a slightly delayed start to flower production. In years of better than normal growing conditions, many perennial plants respond by replenishing their energy reserves at the expense of seed production. Hat might be what’s happening here. For some reason, most people don’t share my enthusiasm for encountering mosquitoes. Some, perhaps some in my own household, would be less than thrilled to learn that the largest of the Ohio mosquitoes was breeding right outside the back door. I feel as though I’ve returned from the jungle with King Kong and am now presenting to you the Eighth Wonder of the World the ELEPHANT MOSQUITO, Toxorhynchites rutilus septentrionalis. Don’t worry it doesn’t bite. This one hatched in the house from a pupa I brought inside. It seemed very docile in its container, so I figured there would be no problem letting it out for a few photos. It took off and was gone. When it first became lost, I asked my wife not to smash the giant mosquito if she came across it. Maybe I shouldn’t have even mentioned it. I don’t know where it spent its time, but I managed to scoop it out of the air with this aquarium net about three hours after it escaped. The coloration on this giant is magnificent. Elephant Mosquitoes breed in pools of water trapped in tree cavities. On rare occasions they will choose an open container as a breeding ground. Water filled tree cavities are rare most years, but this year of above average rainfall has probably produced an abundance of suitable breeding sites. As the mosquito population level increases, so does the chance that larvae will be found in the more unnatural sites. This water filled tub at the corner of the house was the nursery for one batch of mosquito giants. This species is not very common in Ohio, so it’s really a lucky find. 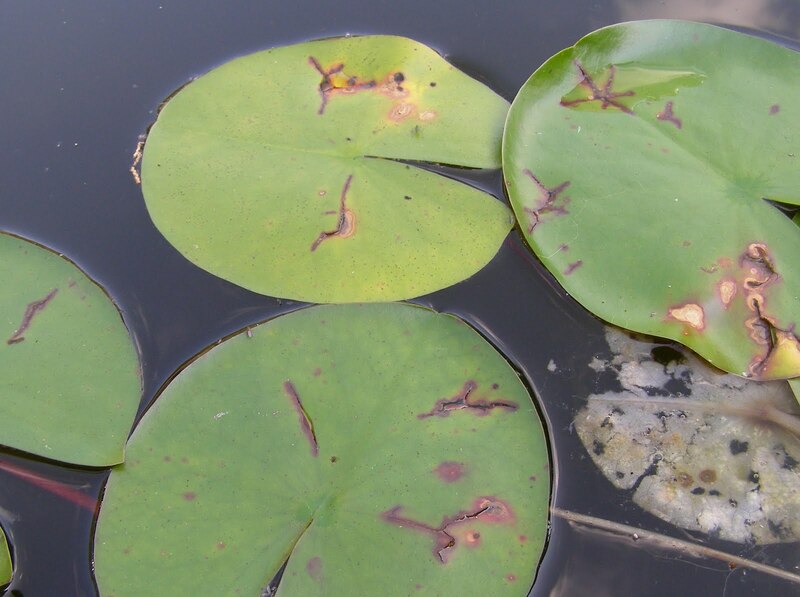 The Elephant Mosquito larvae are predators on aquatic insects, with a decided preference for larvae of other mosquito species. The low number of mosquito larvae in the tub was one of the things that caused me to give it a close examination. I routinely dip mosquito larvae out of the tub to feed to my son’s tropical fish and was wondering why my supply was so short. I didn’t mine losing some fish food in order to observe this super larva. The pupae remind me of shrimp. The two projections from the back are breathing tubes that penetrate the water’s surface to provide air. Mosquitoes can utilize atmospheric oxygen which allows them to live in low oxygen aquatic environments like a puddle inside of a tree. Some people would say that it’s because I live in a rural area that I get so much enjoyment from staring into a tub containing a dead mosquito pupa. I’ve actually been interested in mosquitoes since I was small. 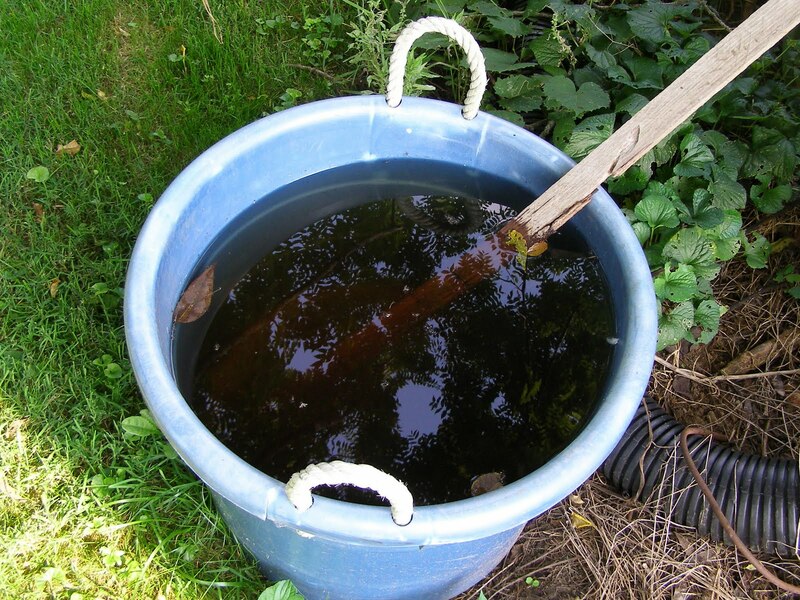 In third grade I brought a giant jar of mosquito larvae into the house to watch their development. Lid? Oops. Well, you learn from your experiences. It’s only fair that I got more bites than anyone else in the house. The first scientific identification guide I ever purchased was a used copy of Mosquitoes of North America by Carpenter and LaCasse. The purchase was made in the pre-internet days when I was in High School and involved a lot of by-mail searching and the mailing of a check for nineteen dollars, a fortune at the time, to a used book dealer in Vermont. In that book I read of the giant Toxorhynchites mosquito and knew that my life wouldn’t be complete without actually seeing a live specimen. Here’s the giant next to a normal sized mosquito that has been temporarily stunned by a gentle tap on the head. Three hours lost in the house followed by a grueling photo shoot left the big guy rather weary. The adult Elephant Mosquito is a day flying species that feeds on nectar, so I offered a restorative drink of sugar water. His condition was much improved after the meal. I headed out with the idea that I was going to walk through the winter mowed fields to check on their growth rates. Then I decided to look for the Blue Grosbeaks and their recently vacated nest. No signs of any nest in what I thought was a likely spot, so I wandered off in the direction the birds had taken to see if I might locate them in another field. Birds displaying blue coloration were not to be found, except for the Blue Jays of course, but I did find a nice bluish flower. 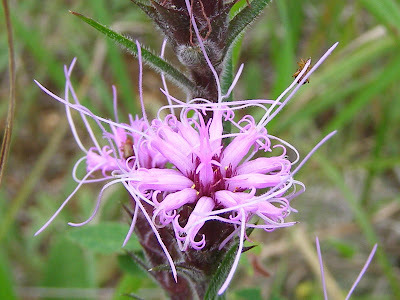 The Scaly Blazing Star, Liatris squarrosa, seem to have synchronized their bloom period this year and are all flowering at once. 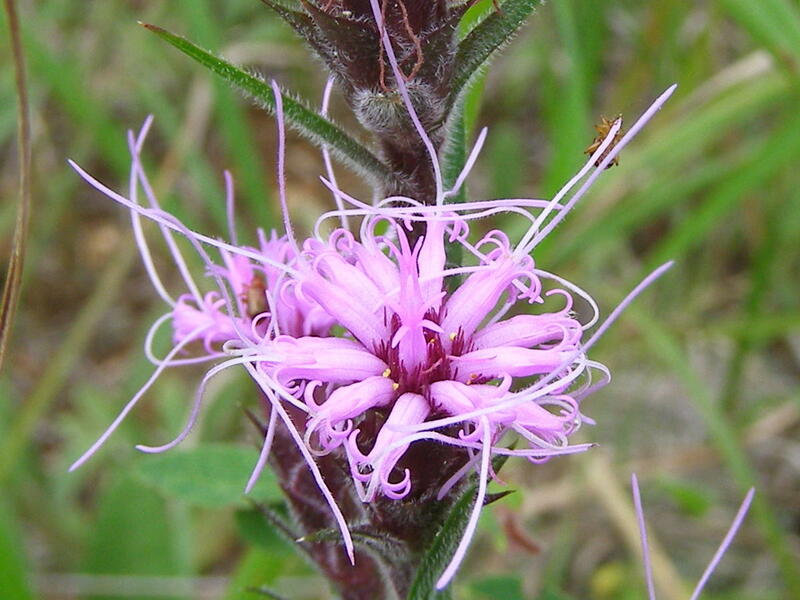 This is probably my favorite of the many Blazing Stars. The blooms on squarrosa are spaced far enough apart to allow appreciation of each individual component of the flower heads. I especially like the stiffly pointed bracts that surround the base of the flower head. The whole arrangement looks like a tiny bouquet wrapped in fancy paper. 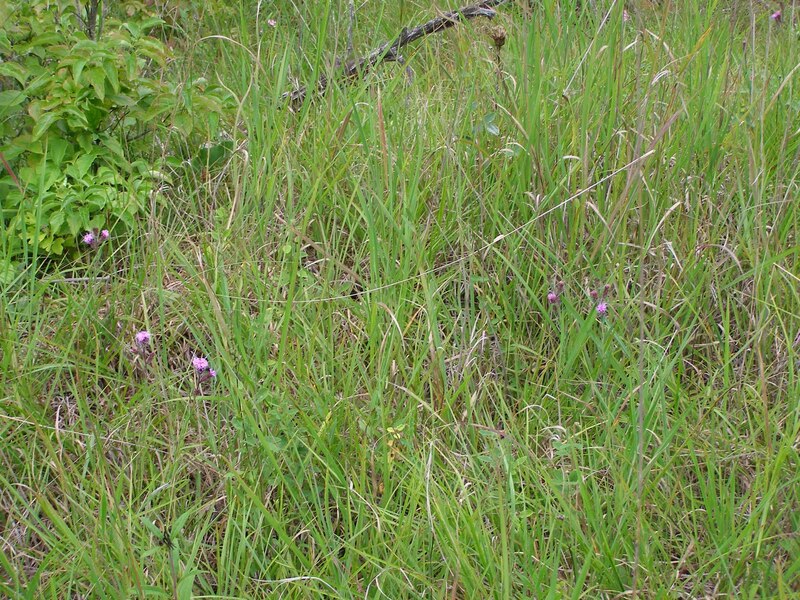 The plant is rather short and can get hidden by even moderately tall grasses. You can be almost on top of them before you notice the splashes of violet among the grass leaves. The prairie grasses, adapted to surviving extremely dry conditions, are taking full advantage of the frequent rains. Areas that normally show patches of bare ground are now completely covered by grass. It’s the Big Bluestem that’s taking over the slopes this year. 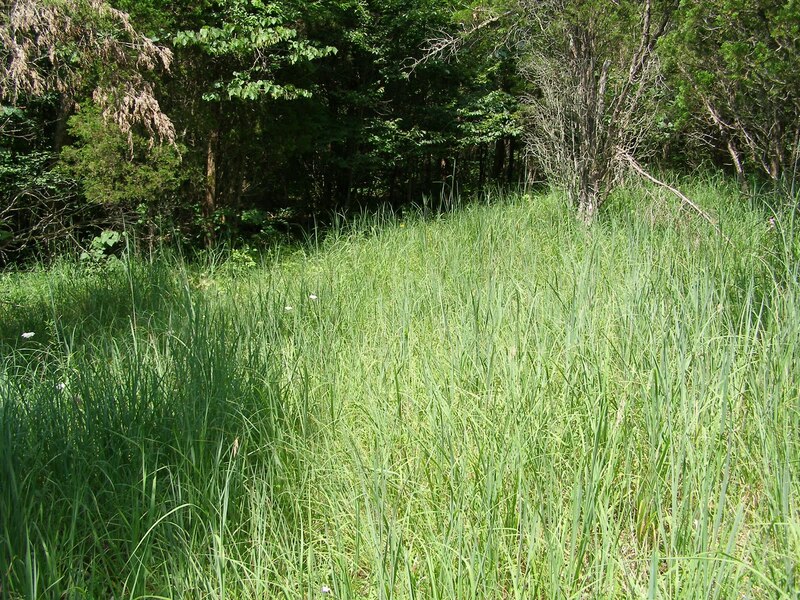 The density of Big Bluestem in the stand has been increasing steadily over the last 20 years. 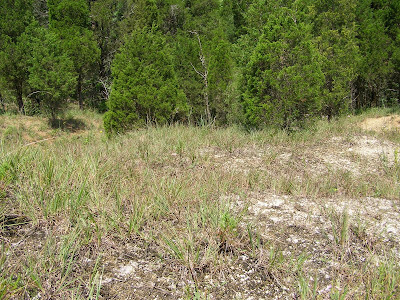 In a dry year these dry hillsides can grow Big Bluestem that reaches ten feet tall. I’m wondering what kind of height they’ll reach this year. Years like this really help to boost the organic matter content of the soil. 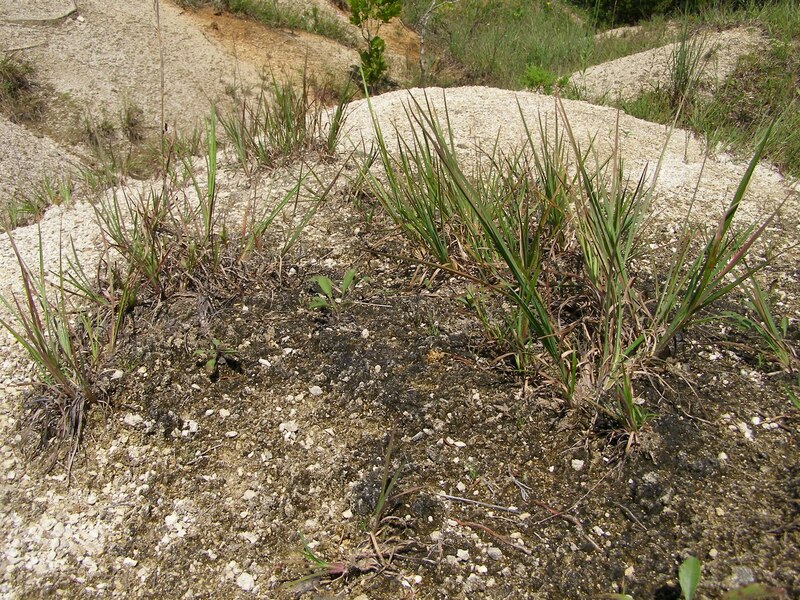 The decaying grass leaves will invigorate the soil biota and the soil will show a slight improvement. I’ve noticed that many prairie wildflowers show increased vigor in the second year following a rainy season. I’m guessing that’s the point at which the nutrients from the decomposing grass become most available. The flowers are working to keep up with the grass. This Western Sunflower, Helianthus occidentalis, maintains most of its leaves near the ground, but the flower stalk may reach six feet into the air. These plants took advantage of plentiful sunlight before the grasses started to grow. They’ve just reached the stage where they are beginning to produce the flower stalk. I found this Monarch caterpillar feeding on a Green Milkweed, Asclepias viridiflora. 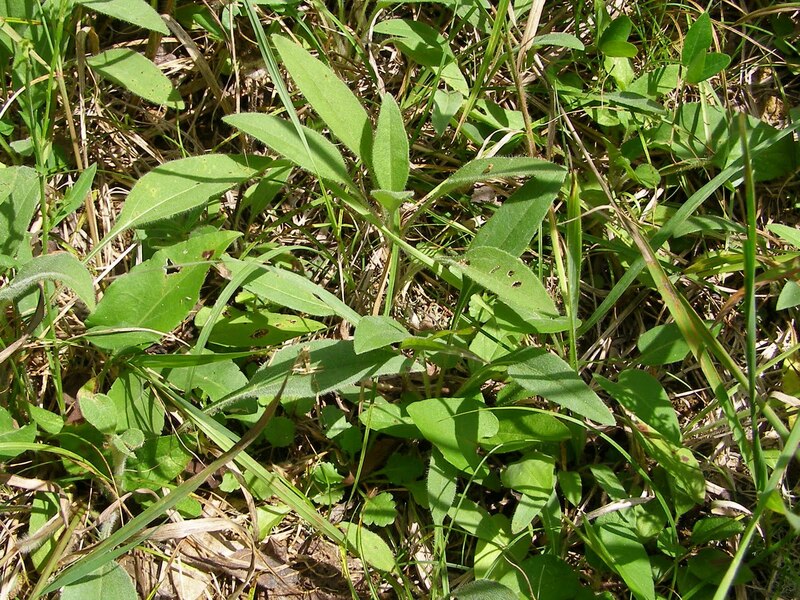 This milkweed species is smaller and has much less leaf mass than the Common Milkweed. Some of the plants could easily have their leaves stripped by a hungry caterpillar. This particular plant didn’t show any signs of feeding activity other than this one leaf. It’s possible that the caterpillar moved to this plant after stripping the leaves from another nearby milkweed. Leaving one plant to find another can be a risky venture. I wonder if the caterpillars have some way of sensing the best direction to go in search of a new food source. I took a quick peek over The Hill to see what was happening in the Breccia area. This is the driest habitat at Blue Jay Barrens so it’s interesting to note how the plants react during an exceptionally wet year. The Partridge Peas are looking well, although they’re not even close to the size shown by individuals growing in good soil. The surface of much of the Breccia area is just a crumble of limestone chips. The chips hold no water and present a most inhospitable environment for plants. 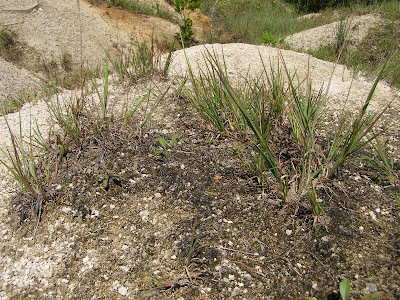 In some places, grass has survived long enough to allow a type of biotic crust of lichens and algae to form over the rock. The grass is able to survive and slowly add organic material. In several thousand years, I ought to see the beginning of a good soil layer here. Maybe I’m being a little bit optimistic in believing I’ll last that long. I have been able to notice an increase in vegetation cover over the last 25 years. It’s at this site that I like to think about the science of ecological restoration and how it applies to what I’m doing here. This Breccia hadn’t been exposed to daylight for several hundred million years until someone in the last 100 years managed to mess things up enough that all of the soil washed away. It’s highly likely that plants never before grew on these gravelly bits, so how can I possibly say that I’m restoring anything? The grasses have made it possible for forbs to find a place to grow. The extra rainfall has allowed some Black-eyed Susan seeds to sprout. The seeds washed down from a deeper soil area upslope, but there’s no way they will survive when it once again turns dry. The tiny Houstonia rosettes can take the super dry conditions and will survive. Upslope is deeper soil that contains plants capable of sprinkling seeds down into the Breccia desert. Even that soil is just a small remnant of what once was here. The Breccia area is a superb place to watch the process of colonization of a lifeless wasteland by aggressive plants. I’ve never doubted the wisdom of putting a water garden outside the front door to my house. It has been a constant source of entertainment and educational opportunities. 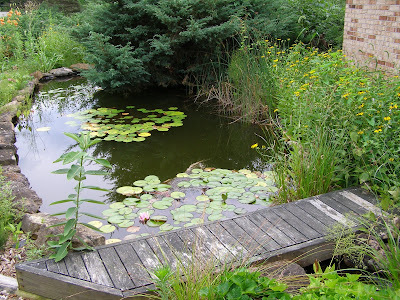 Each summer the water garden displays a phenomenon that I have come to call the artificial mud flat. 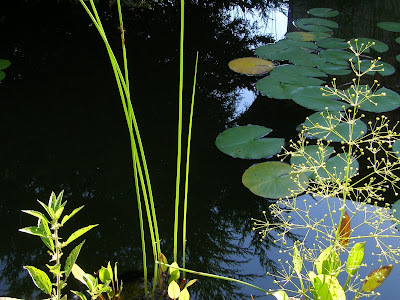 The bottom of the water garden is a plastic liner that leaves little to which aquatic plant roots can anchor. The water lilies were originally planted in containers that gave plenty of room for root growth. The roots have long since left those containers and now sprawl far from the pots. Eventually, they reach a point where their buoyancy brings them to the surface along with a healthy load of bottom detritus. 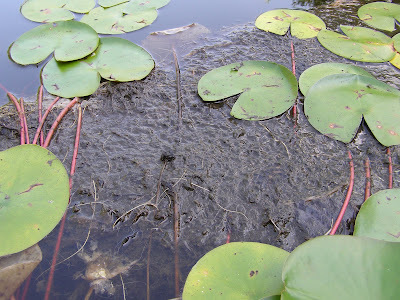 Once it surfaces, the mat is quickly consumed by tadpoles and the roots once more head for the bottom. While it exists, tiny flies track the surface like flocks of shorebirds. The whole sequence is quite interesting, even though it’s not something you can plan for. The water lily leaves got blasted by two hail storms. The leaves now bear scars of the encounter. Most plants didn’t suffer at all from the hail. The floating leaves were perfectly positioned to allow penetration by the hail stones. Male mayflies have been swarming above the water garden. They adopt a bouncing flight pattern designed to attract females. 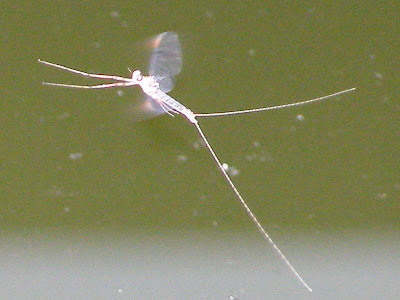 The long front legs are used to capture and hold the female during mating. The bulrush is looking like a set of glow tubes as it catches the setting sun. The idea of having tall plants to the back of the water garden and short plants in front worked fine until the plants produced seed and developed their own arrangement.